In December 1959, the Carson family meets explorer Mike Worley in South America to investigate an ancient spaceship that crashed in the Amazon jungle in the distant past. The ship's systems trap the four and expose them to a mysterious substance called "Gunk," intended to adapt the ship's original crew to the new environment. 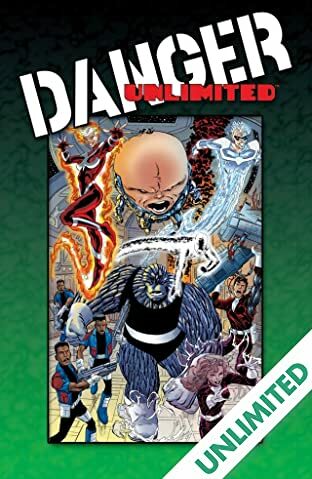 After brief exposure to the Gunk they escape, but it gives each of them superpowers that they use to fight for good as the original Danger Unlimited. But the story only begins there. Set in the futuristic 2061, flashbacks tell the story of what happened on Earth after the discovery of the Gunk, and how exposure to its powers causes the manifestation of super powers. 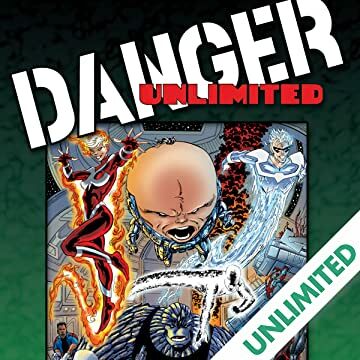 The "new" Danger Unlimited super group seeks to uncover the fate of their predecessors while fighting to rid the Earth of the alien invaders that have overrun the planet! Also included in this collection are Babe #1-4 and Babe 2 #1-2, bringing all of John Byrne's Danger Unlimited action together for the first time ever!